It’s the start of Spring, and the temperatures are on the rise. My Golden Retriever is already starting to get overheated and seeking out cooler spots to lay on, such as the kitchen tile and hardwood floor. It’s not even summer yet, so it’s only going to get worse. Most dogs, especially those with a lot of fur, overheat quickly and start to pant, and become uncomfortable when the temperatures soar. If you have air conditioning at home, I’m sure your dog likes to lay on the vent to keep cool. I can certainly relate, that’s where you can usually find my dog. While hard floor surfaces work for keeping your dog cooler, they are not always the best spot for dogs to lay on, and they are certainly not comfortable, especially for those dogs who suffer from joint issues, hip displasia, or arthritis. So how do you keep your dog cool and comfortable when the temperatures are on the rise? The answer is with a cooling dog bed. There are many cooling beds for dogs available, and choosing the right one can be overwhelming. Fortunately, I have done the hard work for you and have reviewed 7 of the best. We’ll look at each one in detail below, but first you may want to know why your dog will benefit from a cooling bed. Why Does My Dog Need A Cooling Bed? What To Look For In A Cooling Dog Bed? You are probably wondering why you should get a cooling bed for your dog, when your dog is quite content to lay on the kitchen tile, or the air conditioning vent. If you own a long haired dog, you might be thinking of shaving their fur in the summer to keep them cool. That is the worst thing you could do to them, find out why here. More Comfortable: A cooling bed or mat is more comfortable for your dog to lay on than a hard surface. Dogs who suffer from arthritis, or joint issues should not be laying on the floor, as the hard floor will cause them more pain. Laying on the hard floor can also cause pressure sores/callouses, which are usually formed around the elbows. Provides A Better Sleep: A cooling bed will allow your dog to sleep better, because your dog will not be overheated and uncomfortable. Cooling beds offer your dog a comfortable and soft place to lay on, instead of the hard floor. Lowers Your Dog’s Body Temperature More Effectively: A cooling bed will be able to cool your dog off more effectively than the kitchen floor. Offers Relief From Inflammation: Any dog who suffers from painful inflammation will find relief from laying on a cooling bed, regardless of what the temperature is outside. Gives Your Dog His Own Special Space: A cooling bed will give your dog a special spot to lay on that is all his own, and it will keep him comfortable and cool. No more taking up space on the kitchen floor, or hogging up all the cool air coming out of the air conditioning vent. Keeps Your Dog From Dehydrating: A cooling bed will not only keep your dog cool, but will prevent your dog from getting dehydrated. Dogs can get overheated quickly, and pant in order to cool themselves, and all that panting can cause dehydration. You Can Take a Cooling Bed/Mat Anywhere: Many cooling beds and mats are lightweight, and are designed for easy transport. Cooling mats can be used in crates, and can be used in the car, take them everywhere your dog goes. Saves You Money On Your Energy Bill: Instead of turning up the air conditioning in your home, or running a fan to cool down your overheated dog, you could invest in a cooling dog bed. You will be saving a lot of money on your energy bill. With so many choices of beds that are designed to keep your dog cool, deciding on the right one for your dog can be a daunting task. You certainly want to get the best bed that will be comfortable for your dog, but you also want to get the best bed for your money. In order for your dog’s body temperature to cool effectively, you will want to make sure the cooling bed or mat is large enough for your dog. If you get a mat or bed that is too small, parts of your dog’s body will not fit entirely on the cooling surface, and that will slow the rate at which your dog’s temperature drops. Your best bet is to get a bed or mat that is large enough for your dog to move around and get comfortable, when certain spots get warm. Comfort should be a main factor when looking for a cooling bed. If the bed is not comfortable your dog will not use it. If you have a senior dog, or a dog who suffers from joint issues, you will want a soft bed that has a good amount of support. Orthopedic cooling beds will be the most comfortable for those dogs. A cooling bed that is designed to last a long time is very important. The last thing you want to do is purchase a cooling bed that your dog can easily destroy within minutes, talk about a waste of money. If you have a teething puppy, or a tough chewer, you need a bed that will withstand chewing. While no cooling bed or mat is indestructible, you want to look for ones that are durable enough to last longer, and put up a fight to a power chewer. A determined pup will try to destroy anything given the chance, so it’s important to never leave your dog unattended with the cooling bed or mat. Most of the cooling mats available are easy to clean, you simply just wipe them with a damp cloth. Elevated beds are also easy to clean and can be used both indoors and out. They can just be sprayed off with a hose. When looking at orthopedic cooling beds, you will want to make sure the cover can be removed and machine washed. You want to make sure it also has a waterproof inner liner to protect the bed. If you plan on taking the cooling bed with you when you travel, it needs to be lightweight and easy to fold. Many cooling mats are designed to be used anywhere, and some elevated beds can be easily folded up for travel. 7. Water or Gel Filled? Cooling mats are available in either gel filled or can be filled with water. Each type has their pros and cons. The gel filled mats can be toxic to dogs if the gel becomes exposed and your dog ingests it. Even though some mats claim to be non-toxic, you certainly do not want your dog ingesting it. There have been some instances where dogs have ingested the gel, and it has caused them to be sick. Water filled cooling mats are great because they are non-toxic, and they will never dry out like some gel ones do. However, they can become quite heavy, hard to move, and can puncture and leak. Elevated beds are a great option to lift your dog up off the hard floor. They offer air flow all around your dog, keeping your dog cool. They are great for indoor and outdoor use. Some dogs may take a while to get used to elevated beds. The following is a list of the 7 best cooling beds for dogs on the market today. I have included cooling mats, orthopedic cooling beds, as well as elevated dog beds. We will go through each one of them and find out their features and their pros and cons. This elevated bed is a great way to keep your dog off the hard floor, minimizing sore pressure points. Being elevated off the ground allows your dog to keep cool with air flow all around him. The Coolaroo bed is elevated off the ground by over 7″, and it is made of a breathable high density polyethylene fabric, that helps eliminate hot spots. It is lightweight, easy to clean and can be used indoors or outdoors. It assembles in minutes, and can be taken with you if you travel. This bed is durable and designed to last, and comes with a limited 5-year warranty. Elevated bed, raises your dog off the ground more than 7″. Made of breathable high density polyethylene fabric. Flea, mite, mold, & mildew resistant. Lightweight, but strong & durable powder coated steel frame. Durable for dogs of all sizes. (Large size holds a maximum of 100lbs). Easy to clean, just rinse off with a hose, or vacuum the cover. 100% recyclable lead & phthalate free fabric, safe for your dog & the environment. Limited 5 Year Warranty, on UV degradation. 3 sizes available. S, M, L.
Replacement covers can be purchased. Owners of this bed love how easy it is to assemble, and the bed is lightweight and built to last. Dogs enjoy this bed for keeping cool, and they like to use it for lounging. This bed is very versatile, you can use it inside or out, it is great if you are traveling with your dog to the beach or camping, or if your dog is staying overnight at a hotel, or kennel. Many reviewers mention that this bed is not only great for dogs, but their cats like it as well. One owner of this bed has a pet pig that likes it too. It is an elevated style bed, some dogs need time to get used to being off the ground. One reviewer of this bed mentioned that his dog was terrified of the bed, and then he put a blanket on it and his dog was fine. A few owners of this bed mentioned that the fabric is rough to the touch. Another reviewer mentioned that the cover is not as durable as he would like, his dog scratched at the cover, trying to get a tennis ball that was underneath the bed, and in turn scratched a small hole in the cover. It seems that if you leave this bed out in the rain, or clean it off with a hose from time to time, the screws rust. The 5-year warranty is limited, and only covers UV degradation. It does not cover the frame or the cover, so basically the warranty is useless. This cooling mat is the original self cooling pet pad, and uses patented pressure activated gel technology to cool and soothe your dog on contact for up to 3 hours. The special gel formula automatically recharges after 15-20 minutes of non-use. There is no water, electricity or refrigeration required. This cooling mat offers relief for your dog from the heat, as well as from muscle and joint pain. It is a great option for senior dogs, or dogs with health conditions. It is lightweight, and folds easily, making it ideal for travel. Take it anywhere your dog goes, use it in the car, crate, on the floor, on a dog bed, sofa, kennel, or outside in the shade. Cools and soothes your dog up to 3 hours. Gel formula recharges after 15-20 min. of non-use. Multi-use, great for cars, crates, kennels, outside, inside. Easy to clean, wipe with a damp cloth. Offers relief from heat, muscle & joint pain. Owners of this mat love how easy it is to use, just unfold it and lay it down, it is ideal for transport. You can take it anywhere. Dogs love laying on this mat, once they get used to it and realize it cools them off. This mat offers some cushioning to dogs and keeps them comfortable, and cool. Much better than laying on the hard floor. Some owners mentioned it is great for cats too, and one user loves this mat for herself. This mat will last a long time, if you take proper care of it. It is easy to clean, simply wipe it with a damp cloth. Storing the mat in its plastic bag, while not in use for a long period will help to make it last. While this mat is made of non-toxic gel, it is not ideal for tough chewers who can puncture a hole in it and ingest the gel. Close supervision is a must if your dog tends to chew. One reviewer mentioned that the large size is not big enough for a Golden Retriever. A few owners of this mat mentioned that the mat developed thick creases over time, and the gel turned into hard plastic and shrunk, making the mat unusable. This orthopedic bed made by Sealy is a great option for dogs of all ages. Senior dogs, large sized dogs, and dogs who suffer from sore joints will enjoy the support and comfort this bed provides, but it’s really great for dogs of all ages and sizes. It is made up of 4 different layers of foam. Cooling Energy Gel: to regulate your dog’s body temperature, and keep heat away from the sleeping surface. Pet Rest Memory Foam: conforms to your dog’s body, and increases circulation. Bio Orthopedic Foam: evenly distributes your dog’s weight, and eliminates pressure points. Pro Charcoal Foam Base: absorbs odors, and provides an extra layer of support. 5 Year Warranty on foam. This bed is made by Sealy, a trusted brand in the bed industry. It is durable and well-made. There is no need to sacrifice comfort and support when the temperatures rise with this bed. Dogs who need orthopedic support will be able to stay comfortable and keep cool on this bed. It is easy to clean, the cover is removable and machine washable. The bed is protected by the cover, as well as a waterproof inner liner. Hidden zippers, and a non-slip bottom are great features too. This bed has bolsters on the sides and the back to offer head and neck support, perfect for dogs who love to rest their head on something. Overall, owners of this bed say their dogs love it, and it is a firm solid bed. Many wish they would have bought this bed sooner. Sealy offers a 5-year warranty on the foam. Many owners of this bed mention that the bolsters are not tall enough, and that they easily sag. Some reviews mention that the cover is loud, and every time their dog moves around they can hear it. Hair and dirt easily sticks to the cover. Some owners mention that they wish they would have ordered a larger size, as their dog is not able to stretch out. This elevated dog bed is ideal for keeping your dog cool in the summer months. It is lightweight and features a chew proof breathable mesh. A great spot for your dog to lay while you sit out in the backyard or the patio, in the shade of course. This bed is ideal for travel, it assembles in minutes with just 4 screws and an Allen key which are all included. It is waterproof, so it can be used both indoors and outdoors. Perfect for camping. Breathable chew proof mesh, resists rips. Waterproof, great for indoors or outdoors. Assembles in minutes, 4 screws and Allen key included. Offers air flow all around your dog, due to its elevated style. Sturdy metal frame, large size holds up to 88lbs. Easy to clean, just spray off with hose. Elevated 7″ off the floor. Owners of this bed love how easy it is to assemble, and they can take it with them when they travel. This bed keeps dogs off the ground and out of the dirt, it is great for camping or going to the beach. This bed is sturdy and the mesh is durable and chew proof. Not meant for large size dogs. Only holds up to 88lbs. Some owners mention that their dog easily chewed the mesh. Not an ideal bed for teething puppies or heavy chewers. The Dogbed4less is a great option for regulating your dog’s body temperature all year long. With it’s gel-infused memory foam it keeps your dog cool in the summer and warm in the winter. This bed is made of a solid 4″ thick non-toxic therapeutic grade memory foam to provide your dog with ultimate comfort and support. The high density memory foam will not flatten overtime and will last for many years. There are no bolsters on this bed, which means it is ideal for those dogs who love to stretch out. 4″ thick non-toxic gel infused memory foam, regulates body temperature. Orthopedic support, for aching joints and arthritis. Hypo-allergenic memory foam, resists mold, mildew, dust mites & bacteria. 2 layers of covers: external micro-suede cover is removable and machine washable, & dirt, stain,& wrinkle resistant. Internal cover is waterproof. Strong zippers in a gusset style, with double stitching for extra durability. 2 Year Limited Warranty on memory foam. Owners of this bed love the large size of this bed, their dogs can really stretch out. The fact that this bed is made up of a solid 4″ thick memory foam, that is all one piece and not shredded is a huge plus. This bed is well-made, and the external cover is durable enough to withstand numerous washings. The internal cover is really waterproof and protects the bed. Some owners of this bed have mentioned their dog was able to destroy the bed. This bed is not made for heavy chewers. A few reviews mentioned that the zipper broke on the inside waterproof liner, maybe a design flaw. This bed is a cooling mat that uses water to keep your dog cool. It is easy to use, you just fill it with water and that’s it. The amount of water that you put in determines the cooling and cushioning of the mat. It is recommended to put 4-6 gallons of water in the large size. This mat only needs to be filled once, and will never dry out unlike some mats that use gel. To clean the exterior you just wipe it with a damp cloth. It is recommended to add grapefruit seed extract to the water to prevent bacterial growth. Simply fill it with water, no need to refill. No weight limit, great for dogs of all sizes. Provides relief from heat, and provides cushioning for sore joints. Owners of this bed love how cool it keeps their dogs. This bed is easy to use, you just fill it once to your desired cushioning. It provides more cushioning than the gel filled mats, and will never dry out. Many of the reviews are from owners with large dogs that are 90lbs and up, and their dogs love this mat. It is durable and provides plenty of cushioning and support. It is a water bed for your dog, so that means it cannot be placed near sharp objects or it will puncture. Not meant for heavy chewers that could puncture a hole and cause the bed to leak. This bed is heavy once it is filled, so it is hard to move. This cooling mat is designed to keep your dog cool for up to 3 hours, and then it automatically recharges itself after 15-20 minutes of non-use. It is lightweight, folds easily and great for travel. This mat is designed to be durable and will last for many years, featuring a puncture resistant exterior. Solid gel cooling mat, provides 3hrs. of cooling. Automatically recharges after 15-20min. of non-use. Owners of this mat love how it keeps their dogs cool. It is a solid gel mat, meaning it will not leak or bunch up. One owner mentioned that other gel mats are liquid and they spread out and do not offer much support, but this one does, and it is thicker than others. This mat folds up nicely and is easy to store, several reviews mention that this mat still works great after a year or longer. This mat is very smooth and one owner mentioned that it is slippery, and to be careful with older dogs. A few of the complaints are about the durability of this mat, most of those were pretty rare, but close supervision is needed when using this mat for a determined chewer. I chose this bed to be the winner because of its durability and lightweight design. I like that it is puncture resistant, and made of solid cooling gel. This means it will not leak out or spread thin, it will hold its shape and cushioning support. A great option because you can fold it up and take it with you wherever your dog goes. I like that it doesn’t dry out and most users of this mat have had it for a few years, and it still works great. Every dog is different in terms of what they prefer to sleep on, and how to keep themselves cool. Any of the above best cooling beds for dogs are a great choice for keeping an overheated dog cool during the hot temps. It is important to remember that not all dogs will take to a new bed right away. As noted in some user reviews, many owners had to put a blanket on top of the bed to entice their dog to lay on it. Once dogs realize that their new bed is designed to keep them cool, they can usually be found lounging on it and sleeping in comfort. Do you use a cooling mat or bed for your dog? Which one is your favorite? Share your experience in the comments below. I would love to hear from you. I appreciate this. This is very educative and timely. You are right; the temperature is on the rise. I have a Lhasa apso dog, that has become an important ‘member’ of the family for the past three years. I have not been paying much attention to this. The dog lies always on the bare floor, I guess his fur is helping in this regard. I would need to get him a cooling bed in this regards. I’m rooting for the elevated dog bed by Paws and Pals. My dog weighs less than 16 pounds and he has become an important member of the family that travels with us. Thank you for commenting. Dogs quickly become an important part of the family, and we always want what is best for them. The elevated dog bed by Paws and Pals would be a great choice for your dog. As I mentioned in my review this bed is ideal for small to medium sized dogs. Your dog would enjoy the air flow all around, and it would certainly keep him cool. This bed is great for travel too, as it is lightweight. In the first instance after seeing the title of your post, I first wondered to myself, why would a dog need a cooling bed? (smiles) but after reading your article I have really been convinced that our pet dogs really need cooling beds indeed. I think among all the cooling beds you listed, my most preferred is “Sealy Lux Quad Layer Orthopedic Dog Bed With Cooling Gel” based on its head and neck support features. This post has really been informative and educative. Thanks. There are many people that would have the same thought as you, why would a dog need a cooling bed? A dog wears a fur coat all year round, and in the hotter months dogs really suffer and overheat quickly. They pant in order to cool themselves off, and all that panting causes dehydration. Cooling beds are a great way to regulate your dog’s body temperature. Many people don’t have air conditioning, and temperatures really soar. A cooling bed offers relief from the heat, and provides cushioning support to senior dogs, and dogs who suffer from joint issues. Your preferred bed is the Sealy one, which is an orthopedic cooling bed. I like this one too, because it is great for all year long. This bed keeps your dog cool in the summer and warm in the winter. It offers plenty of support and cushioning, and the bolsters are great for head and neck support. Thanks for sharing this article on the 7 best cooling beds for a dog. I must say that your article is really informative and rich in information needed on how to give comfort to my dog. Dogs are amazing pets and they are to be cared for as spring is here. All the listed cooling beds are nice but I think The Green Pet Shop Dog Cooling Mat is appealing to me because it is lightweight, and folds easily, making it ideal for travel and also price is affordable. This article is really informative. I have bookmarked this page for further reading. Thanks for sharing this article. Thank you for taking the time to comment. Many people love The Green Pet Shop Dog Cooling Mat, for the same reasons that you mentioned. It is very convenient for travel, and it is at an affordable price point. Dogs deserve the very best, and when the temperatures get hot and uncomfortable for them, it is up to us to make their lives more comfortable. I absolutely love what I read in this insightful article because it is full of great information. This is fascinating and interesting to me. I’m a big fan of dogs, dogs deserve to be treated in a good way. This article highlighted different types of cooling beds and what we should consider when selecting a bed for our dog. I am so glad you found my review helpful when choosing a cooling bed for your dog. The Green Pet Shop Dog Cooling Mat is a great choice. It is definitely a popular one, and many dog owners love it. I like this, I like anything that can help make my pet’s life more comfortable, they are very loyal and we need to give back the love they give to us. After reading about some of the benefits of a cooling bed, I think it is a big necessity for all dogs, especially during this hot season. Number 2 is my favorite, It just looks much more comfortable. I was wondering is there some type of food that is best for dogs during hot season ? Thanks for taking the time to comment. A cooling bed is very beneficial to not only dogs but to cats too. I am glad you enjoyed my review. To answer your question, there is no particular food that is best for dogs during the hot season. Some dogs tend to lose their appetite, or not eat as much when it is so hot outside. It is important to keep your dog comfortable and cool during the hotter temperatures, and have plenty of fresh cool water available. There are many frozen treats that you can offer your dog in the summer, many of them you can make yourself. There are many dog friendly recipes available on the internet, Pinterest has some great ideas as well. This is an outstanding article! I’m no longer a pet / dog owner but EVERY friend I have is! I will certainly be directing them to your site. While reading your article I was also trying to decide which bed would be preferable and was leaning strongly toward the elevated beds. What an awesome idea – especially considering the heat we typically have here in the mid-west so I was a little surprised when the winner was the Arf Pets self cooling mat. However, after a second reading you make a sound argument and I would have to agree. Good air circulation is only one factor. A mat that is easy to clean, comfortable and portable is a combination not easily found! 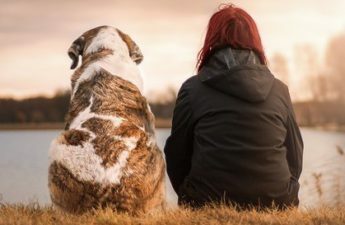 Thank you for sharing this awesome information and should I decide to become a dog owner again, I know where to find the latest and most practical information! I am glad you enjoyed my article. Elevated beds are certainly a great choice, and many of them can easily be folded up and taken with you when you travel. They are easy to clean too, you just spray them with a hose. I chose the Arf Pets self cooling mat as the winner because of its cooling power and the fact that it is a solid gel mat, and lasts a long time. Any of the beds that I have reviewed would be a great choice, but every dog is different, and will have their preferred bed for keeping cool. I am super excited that I came across your site. We have our first dog, and there are a million things that I have no idea about when it comes to dogs. Thank God for the internet, it’s an absolutely wonderful tool and finding sites like yours with great information is amazing. I honestly did not know that you shouldn’t shave a dog’s fur in the summer, and I never heard of a cooling bed. I can see why they are necessary. Thank you for the best cooling beds for dogs review! As a first time dog mom myself, I have learned so much! There is a wealth of knowledge on the internet, as well as a lot of misleading information. That is why I created this site, to help other first time dog owners with the many struggles and challenges that I have come across. So many dog owners think they are doing their dog a favour by shaving their fur in the summer. This actually does more harm to the dog, especially if the dog has a double-coat. I hope you were able to check out my article on why shaving a dog is a bad idea. If not here is the link again. Grooming A Golden Retriever In The Summer – What Not To Do. Cooling beds are really great for dogs, they offer cushioning and support to the dog instead of laying on the hard floor, and they keep them cool. I am glad you enjoyed my review, and thank you for commenting.